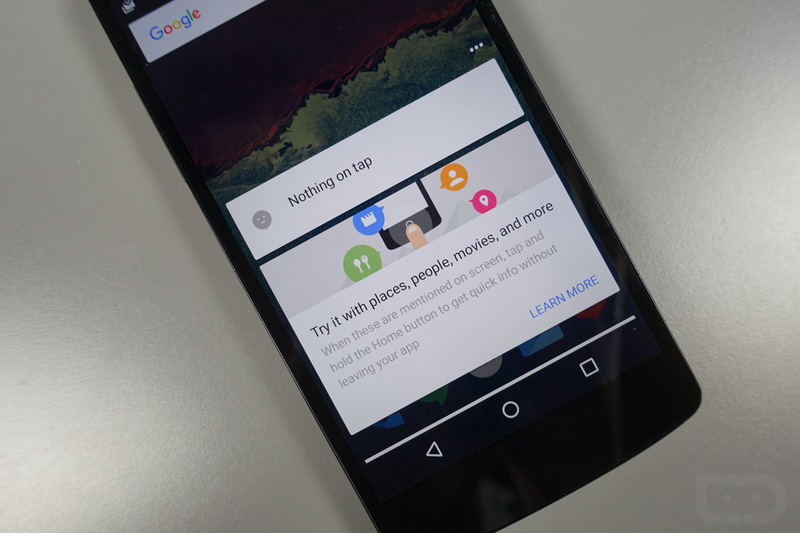 Google Now on Tap is finally live and available to use for those running the latest Android 6.0 Marshmallow preview. It will also be live when your new Nexus 5X or Nexus 6P arrives, or if your older Nexus is due for next week’s update to 6.0. To recap, Google Now on Tap “anticipates what you need in the moment.” By long-pressing on your phone’s home button, “you can get cards with useful information and apps that feed your need to know.” Think getting quick information about a movie you are having a conversation about through email or being able to book a restaurant a friend just mentioned in Hangouts. It could even be a need for more information about an athlete you are reading about or artist you are listening to. To get a better feel for the power of Google Now on Tap, check out the video below.